The CIA sponsored ISIS/MS-13 fifth column gangsters are coming to your neighborhood armed with IED’s, anti-tank weapons, automatic weapons and WMD’s courtesy of of the 2014 immigration crisis immigration crisis. They are lying in wait and it is becoming apparent the President’s concern over MS-13 is based on intel that something big is coming. After four years of me writing about the dangers posed by MS-13, the mainstream media is actually giving this subject attention. Fox News, via Tucker Carlson, is running a week long series on the topic of MS-13. Why is MS-13 suddenly in the news? Why is Trump pursing MS-13? Why did Jeff Sessions visit El Salvador to investigate MS-13? 1. As previously reported, the Sinaloa’s have been connected to terrorist organizations since 2007 as reported in the MSM. 2. The Sinaloa’s, along with MS-13 have received paramilitary training at camps outside of San Salvador along with military grade hardware (e.g. RPG missile launchers, AK-47’s and anti-tank weapons. This is all supplied by the terror organization of Hamas and Hezbollah and the Muslim Brotherhood. This is why Jeff Sessions was visiting El Salvador. 3. The Sinaloa’s and Los Zetas drug cartels are using MS-13 gang members as assassins in removing political and law enforcement obstacles in Mexico. The Border Patrol has repeatedly said that MS-13 members are being processed into the United States by the thousands by the Border Patrol who are being told to look the other way, by DHS directives, when it comes to processing MS-13 gangsters into the United States. 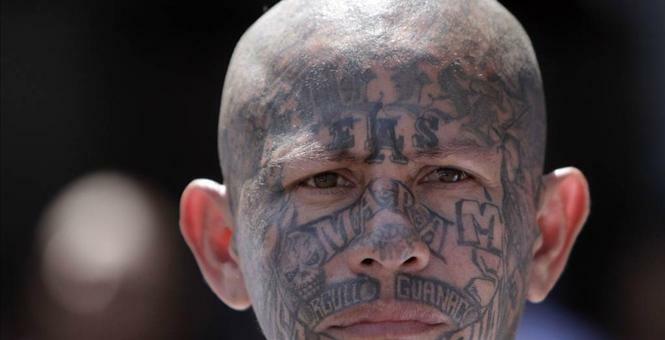 This is why President Trump is so concerned.Amazingly, it was the Obama administration that let large numbers of MS-13 members into the country. During the 2014 immigration crisis, I was befriended by a DEA special agent who was fed up with elements of the Obama administration allowing terrorists, cartel members and large quantities of drugs into the country. He reached out to me in order to publicize the public betrayal by the Obama administration. I quickly arrived at the conclusion that America is in the process of being transformed into the same type of narco-terrorist state as we see in Mexico. Let’s consider the public drug trial of Jesus Vicente Zambada-Niebla as a case in point. “Niebla also alleged that Operation Fast and Furious was part of an agreement to finance and arm the cartel in exchange for information used to take down its rivals”. The details of the unholy agreement between the DEA and the Sinaloa cartel was that the DEA would allow 80% of all drug shipments into the United States in exchange for intelligence information on the other drug cartels. Why would the DEA want intelligence on the other cartels, yet, they would allow the Sinaloa cartel to continue with their drug operations right under the noses of the DEA. “The agents stated that this arrangement had been approved by high-ranking officials and federal prosecutors,” the Zambada-Niebla lawyer wrote”. After being extradited to Chicago in February 2010, Zambada-Niebla argued that he was also “immune from arrest or prosecution” because he actively provided information to U.S. federal agents. Niebla also alleged that Operation Fast and Furious was part of an agreement to finance and arm the cartel in exchange for information used to take down its rivals. This resurfaces the issue that Attorney General Eric Holder knew about the gun-running arrangements in Fast and Furious as we all knew he did. The only plausible explanation serving to underlie this operation would be that DEA is protecting the drug trafficking corridors for the banking elite that have hijacked our government. The information supplied by the Sinaloa’s about their rivals protects the elites shipments from competition. Part Two of this series will explore the details of the money laundering arrangements which will expose this unholy arrangement. “Last night, this same Border Patrol Agent called me at the number on my business card. He stated that he had been reading my articles and that he felt that I was expressing a deep understating the problem. However, he unequivocally stated my knowledge of UN involvement on the border was significantly outdated and understated. He stated “the UN is already here and he has seen clear evidence that they are calling the shots on the border”. The Obama administration is famous for catch and release activities with regard to illegal aliens crossing the border. Illegal aliens who commit felonies are also protected from deportation and criminal prosecution if they are members of MS-13. Has anyone considered that sanctuary cities is a way for MS-13 members to safely hideout until it is time to carry out their mission? Three years ago, it was revealed to me that MS-13 members were being detained in border facilities until there were 7-10 of them in custody and then they were released. This got my immediate attention because I knew the drug cartels use MS-13 to murder policemen, judges and politicians that get to close their drug running operations. The immediate implication on why they were being brought into this country by the thousands told me that our people who work in law enforcement and politics would soon be at risk. I could see no other reason why they were being admitted. Under the Obama Administration, Border Patrol personnel are processing the same MS-13 people over and over. They get caught for committing a crime, they are sent the offenders and then ICE officials step in and order the immediate release of these people. One Border Patrol person told me that he is hearing from the MS-13 temporary detainees that something big is coming and that certain people, namely cops, are going to get what is coming to them. The universal interpretation is that they must be referring to a false flag event that involves MS-13 and the killing of American police officers. The operating hypothesis is that they are going to be used spread terror through assassination in the United States. Some think that it is not Black Lives Matter we need to fear. One theory that I was told that some Border Patrol agents hold is that BLM is simply a distraction and the real violence,, with intended targets will be carried out by MS-13. This is not to say that BLM will not carry out violent acts, but the real terror will be carried by MS-13 and BLM will get the blame. Remember, the drug cartels already use MS-13 to kill pesky police in Mexico. Why Was a Congressman Refused Admittance to Ft. Sill in 2014? Human Health Services, operating with UN health officials refused to allow a member of Congress to enter a facility in his district where some of the unaccompanied immigrant children are being housed. There were 1,200 immigrant children being kept at Ft. Sill. Ft. Sill is within Bridentstine’s district. The American people are supposed to be able to depend on Congress to protect the American public from the excesses of the executive branch of the government and in the fulfillment of this duty, the Congressman was denied entry by a guard hired by Human, Health Services. He was told to return after July 21, 2014, to “make an appointment“. By that date, disbursement of the people and the commencement of the trafficking operations had begun and Bridenstine’s return would have been irrelevant and too late. As the DEA agent told me, this was a criminal enterprise being facilitated by the Obama administration. So what does this have to do with MS-13? Please read on as the dots get connected. At the time I suspected that Congressman Bridenstine was being kept away from child trafficking operations that were being put together at Ft. Sill. I still believe that to be the case because it fits the profile. However, Border Patrol agents that I have been in contact with, know for a fact that many MS-13 were kept for weeks at a time at facilities such as Ft. Sill. I think it is safe to say that these gangsters were not receiving instruction on how to become an American citizen. Were they receiving their marching orders and will soon be carrying them out? Based on comments made to Border Patrol agents that they were here to help the blacks of America, and to kill cops is very telling. The operating hypothesis is that MS-13 is here to exacerbate the brewing race war begin perpetrated by George Soros and his leftist allies. It will be them who carry out the killings, not Black Lives Matter (BLM), but BLM will get the blame. “They are here to kill cops”, said on Border Patrol agent. This even has carry over implications for California. Paul Preston of Agenda 21 Radio has stated on The Common Sense Show, that his embedded source at some of the CALEXIT meetings were attended by some drug cartel leaders. The cartel leaders promised to carry out mass killings of whites, in public venues, if California was not able to exit peacefully. The meetings were also attended by Moveon.org (i.e. George Soros), the Mexican Consulate, the Bank of China, members of the United Nations, a notable Japanese crime family, members of the then Obama administration. It is the belief of people in the know that MS-13 will be used for what they do best, carry out assassination duties. When California leaves the United States, they will indeed be independent, but also operating as a protectorate of the United Nations. The Border Patrol blames the UN for what is happening. Three years ago I was told that the UN definitely appeared to be in charge when they were interacting with DHS during the border crisis at the time. And it was under the purview of DHS/UN that the order to release MS-13 operatives within the United States, in groups of 7-10. The four questions posed at the beginning of the article have been answered as best as they can at the present time. In the next article, I will detail the organizational structure of cartels/terrorist groups and supporting financial institutions who support the 5th column undermining of America. I would hope that you would share this on your social media. On a final note, we owe President Trump a debt of gratitude because this is very dangerous territory.